What a day! We (my preschooler & I) have been running errands all day, Costco, candy & mints shop for teachers’ gifts, etc. with a few brief pauses in-between for lunch, and to pick up kiddos from school. With Christmas only 10 days away we have a lot of people and gifts to still cross off our list, thus, after my son got picked up for basketball practice this evening the girls and I set out to run a few more errands. Perhaps I was biting off more than I could chew; I mean, how long can a 5 year old run errands without something happening? Our last errand of the day, Barnes & Nobel! The girls and I strolled in, located the items we needed, and started to make our way to the exit. We were so close to the door, in the main/central aisle, and then it happened, my little precious 5 year old started having a coughing fit. Now this might not seem like a big deal to most but my little lady isn’t like most. See, she is getting over a cold and has a bit of mucus, she hates mucus! Unlike her sister and brother she can’t handle excess mucus; can you guess what is coming next? She looked up at me with that gaze and I knew I knew she needed to get outside STAT!! But instead of moving she stood her ground, more like claimed her ground. She stood their coughing and coughing until she coughed up her dinner right there in the central aisle of Barnes and Noble during the busiest season of the year!! Oh the looks, the verbal displays of dismay, the crowd that formed around us, fingers pointing at my poor little lady now in the center of a little pool that was once her dinner. I sprang into action, first order of business, eliminate my little lady’s embarrassment. I ran over to the Starbucks counter & retrieved as many cocktail sized napkins as I could to cover up the evidence. Then I walked around the store trying to locate an associate but I was unsuccessful, so I went over to the Starbuck’s barista and inquired about towels or mop to assist in the cleanup. She was a bit nervous; this must have been her first kid puking in the middle of the aisle incident. Don’t worry, I talked her through it, Lol! She got on the phone trying to contact someone and I assured her things would be okay, we were going to get through this if she could just part with a few paper towels and perhaps a couple bags. She handed me said items while still holding the phone and eagerly trying to contact help. I knelt down and cleaned up the mess, it took a few trips to the garbage, a few more glares and verbal declarations of disgust from strangers, and I had the mess almost entirely cleaned before the barista came over with a wet floor sign. As I gently guided my 5 year old up and we strolled outside I couldn’t help but grin from ear-to-ear, I kinda totally rocked that entire situation! As I helped my little lady into her booster seat I couldn’t help but think back to when I was a new mom, back when my eldest was my youngest age, and how different the outcome of a situation like that would have been. My first inclination back then, as a new mom, after my child started vomiting in a crowded public place like that would have probably been one of total mortification. I would have become beat red in the face and overly consumed with other’s judgements and opinions of me as a mom. I probably would have beaten myself up and convinced myself that it was my entire fault. It would have probably taken me weeks to recover. So, why share my thoughts on this situation? Because, I want all those new moms to know that they are not alone, we have ALL been there at one time or another, it is not your fault; and yes, it will get better, promise! And I want us experienced moms to rejoice and be thankful for how far we have come, how much wisdom and knowledge we have attained. 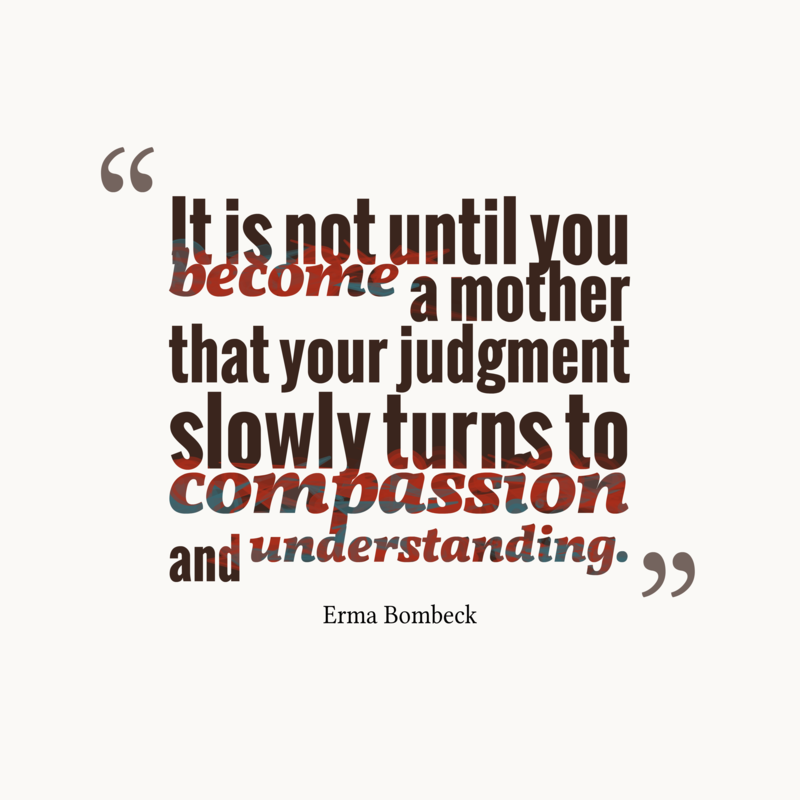 Lastly, it is so important that we support one another, both old and new moms. We can learn so much from one another. Encourage, inspire, strengthen, and love one another no matter where we might currently be strolling on the path called motherhood. What are your thoughts? Are you a new mom, experienced mom? 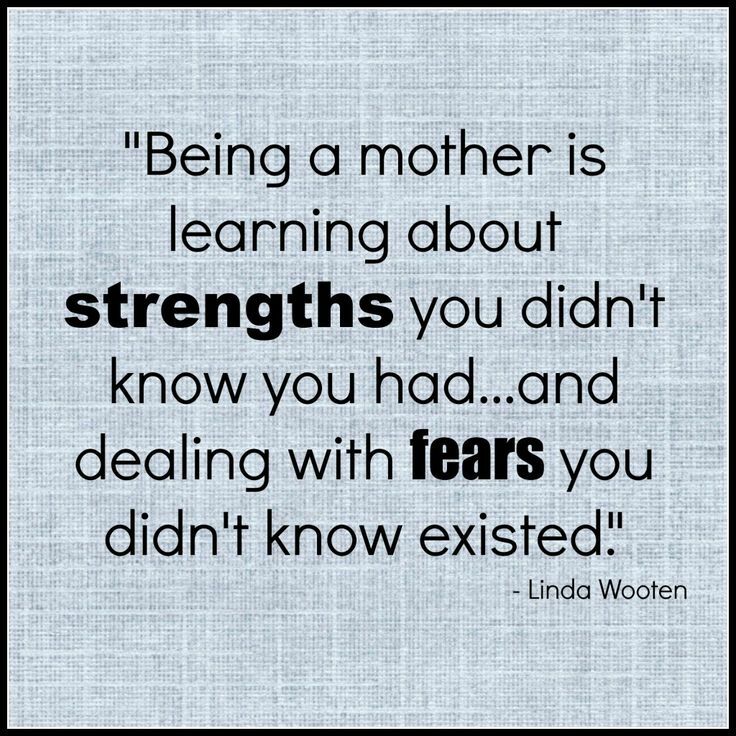 How have you grown in motherhood?